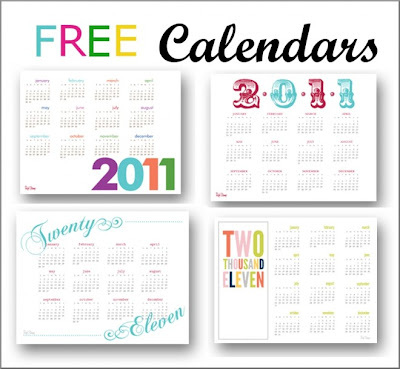 I'm almost always sure to get a calendar or two for Christmas. 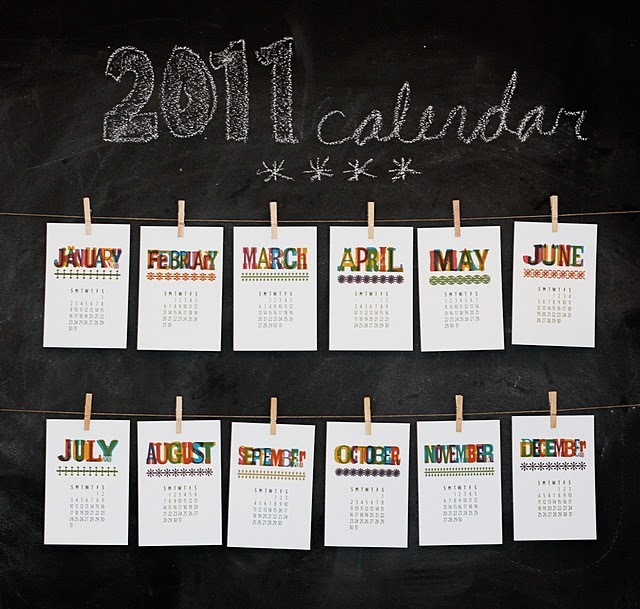 This year, although I received some great gifts (especially some books I can't wait to read), I didn't get ONE calendar. So, I've been on the lookout for some free printables to meet my needs. 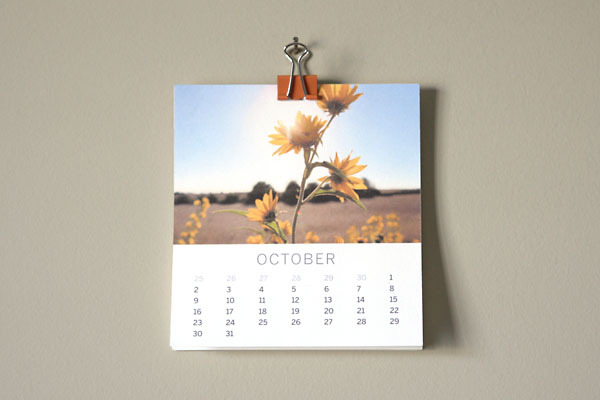 I like the graphic, colorful nature of this printable calendar. Okay...do I have to explain what I think is adorable about these little mini calendars?! 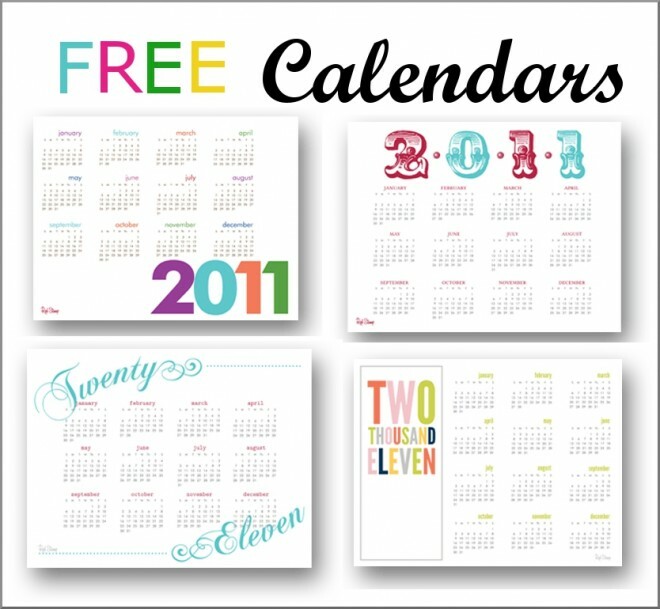 There's something for everyone in these four printable calendars from Pizzazzerie. Here's one you can customize with your own photos. 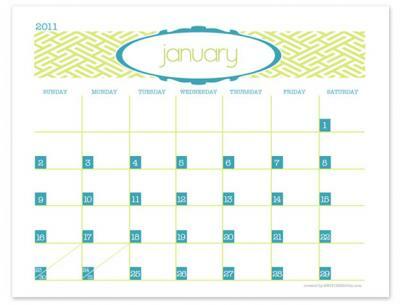 This one is basic, but it leaves a little more room for notes and I liked the combination of green and teal. 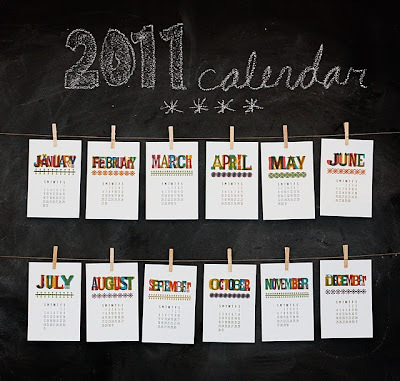 Which one is your favorite calendar of those above OR have you found another calendar that you've fallen in love with? If so, please share by leaving a link!